The successful week-long inaugural United Nations Ocean Conference concluded at the UN Headquarters in New York on Friday. It saw more than 1300 commitments from countries, civil society groups and the private sector on what they would do to save our oceans. Portugal and Kenya have already put forward their offers to host the next Ocean Conference in 2020. 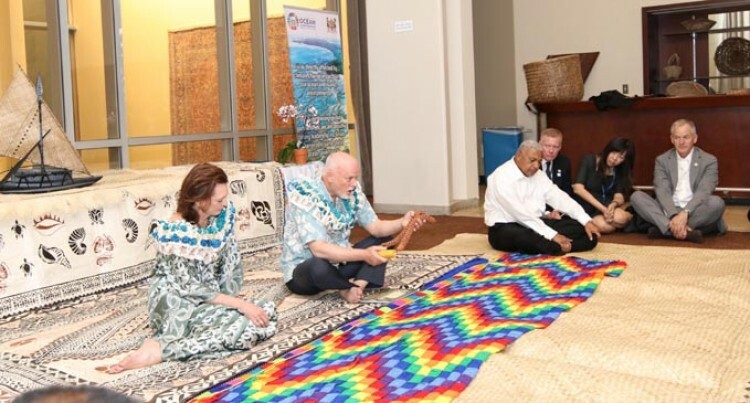 The role Fiji played in facilitating the conference and raising the voice of the Pacific was widely acknowledged by Pacific island and world leaders who attended the conference. The outcome document, together with more than 1300 commitments to action, marks a breakthrough in the global approach to the management and conservation of the ocean. The Ocean Conference, the first UN conference of its kind, raised global awareness of ocean problems ranging from marine pollution to illegal fishing and overfishing, from ocean acidification to a lack of high seas governance. United Nations General Assembly President Peter Thomson said: “The Ocean Conference has changed our relationship with the ocean. Wu Hongbo, Under-Secretary-General for Economic and Social Affairs and Secretary-General of the Ocean Conference, said the Conference marked a major step forward for the implementation of the Sustainable Development Goals, particularly SDG14 which focuses on Life Below Water. “Participants from member States, NGOs, civil society, the private sector, the scientific community and academia engaged in wide ranging discussion and shared state-of-the-art knowledge and latest information on marine science and challenges,” he said. Once again showcasing Fijian culture at the closing was the Republic of Fiji Military Forces Band when they sang Isa Lei.